Redmi Note 7 Teardown: The interior of the most popular smartphone of the moment! Home>News>Redmi Note 7 Teardown: The interior of the most popular smartphone of the moment! The Redmi Note 7 has made its debut as the first device of the new independent sub-brand Redmi. The best thing is that the sale of the Redmi Note 7 exceeded Xiaomi’s expectations. 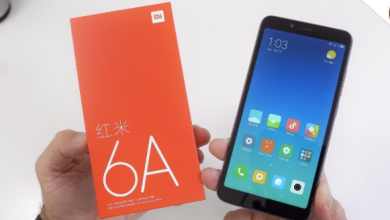 In its first sales session on several online platforms in China, the Redmi Note 7 sold out in just 8 minutes. The number of phones sold was up to 100 thousand units. But a few hours after its second sales session this January 18, we have been surprised by the circulation of a Redmi Note 7 teardown in a video. Although the video currently circulates on YouTube and many other platforms, this disarming was originally found on QQ, a famous video sharing platform in China. The Redmi Note 7 Teardown video has a short duration, only lasts 1 minute and 27 seconds. However, interesting things are found when we see how all the components were dismantling one by one. This disassembly action is usually done by vloggers, but currently, it is a popular smartphone, so knowing the inside of the Redmi Note 7 has become very interesting. 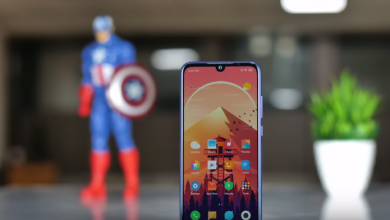 The video shows that the Redmi Note 7 has components like other smartphones but with certain important details. It is disassembled by removing the glass back panel with a suction cup. Followed by the removal of other components such as the nano-SIM tray, the fingerprint sensor cable and the removal of several screws. The opening of the logic board protector shows the entrails of the Redmi Note 7. The Redmi Note 7 teardown allows us to see the USB Type-C port on the second board so that it can be easily replaced when the slot starts to fail. Not only that, but we also have the presence of a sealed cable on the battery that connects the motherboard to components such as speakers, microphones, haptic motors and also to the same USB port type C on the second board. 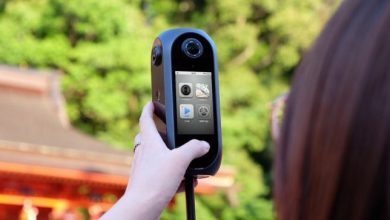 The video also shows a protective lens in the configuration of the dual camera that turns out to be only a part, which facilitates the replacement if the lens of the camera is broken. All the most internal components of the Redmi Note 7 are behind the phone’s screen. At first, seems difficult to remove this part and replace it. Everything comes with a protective seal: in the SIM card tray, the USB port, the 3.5 mm audio connector, the buttons, and the camera module. The speaker section also has a protective membrane. It is believed that the presence of these protective cables and membranes is by special functions to protect the interior of the components of the Redmi Note 7. We must remember that the Redmi Note 7 has impressive specifications, such as a 48 MP camera and a Snapdragon 660 chipset, all at a very affordable price. It is not surprising that, in a matter of minutes, 100 thousand units have been sold. We invite you to watch all the video if you want more details about its interior! We invite you to follow us through our social networks to receive much more information about Xiaomi and other brands. We are on Facebook, Instagram, Twitter and now we are launching our Youtube Channel. Do not forget to share and tell us your impressions!